Roll up roll up! If you’re planning a vintage seaside themed party or just fancy a quirky castle then this is the one for you. Now available to hire across Liverpool, Widnes, Warrington, Chester and the Wirral. Is it the thrill of the fair? Or the clowns? Or the acrobats? This castle has it all! 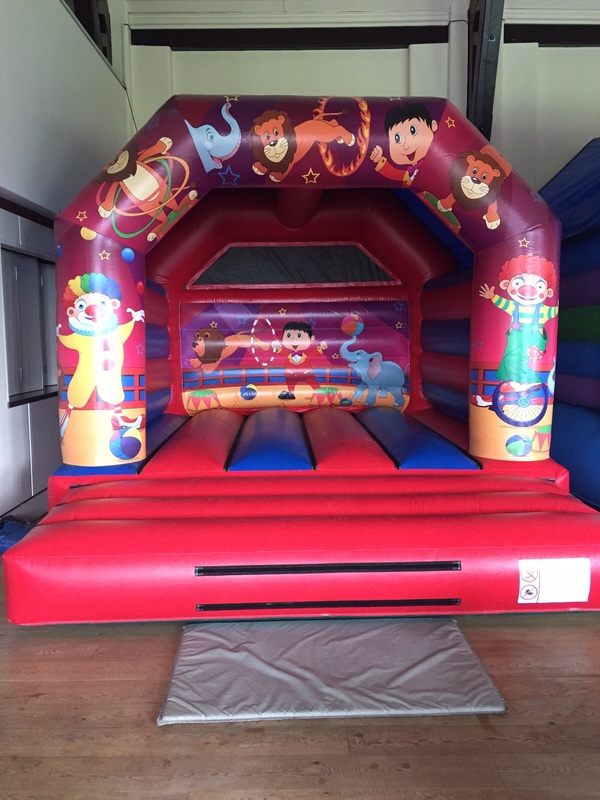 The vibrant colour scheme and jaunty illustrations will make this bouncy castle really pop at any event. An amazing event may include our candyfloss and popcorn machines for the real ‘beachside fairground’ feel.